Babul Supriyo had failed to produce any evidence in support of his defamatory statement. 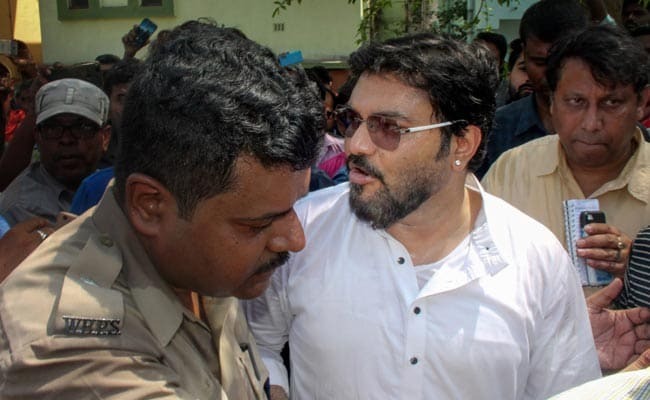 A city court today directed Union Minister Babul Supriyo to retract the malicious statements that he allegedly made against TMC lawmaker Abhishek Banerjee last year. Judge Apurba Sinha Roy of the third bench of city civil court asked Mr Supriyo to issue a letter to Mr Banerjee, within a fortnight, taking back his statement at a press conference in Asansol on November 11, 2017, the lawmaker's advocate Sanjay Basu said. Judge Roy confirmed an interim injunction passed earlier directing Mr Supriyo, the Minister of State for Heavy Industries, not to make, circulate or publish any derogatory or defamatory statements against Mr Banerjee till the disposal of a defamation suit filed by the latter, he said. "The court passed an order directing Babul Supriyo to retract the defamatory statements made on November 11, 2017 in the press conference at Asansol against Abhishek Banerjee by sending a letter or otherwise to him within a fortnight from the date of the order," Mr Basu said. "Babul Supriyo failed to produce any evidence in support of his defamatory statement and hence the court passed the order of injunction and retraction in favour of Banerjee," Mr Basu added. Mr Banerjee had filed a defamation suit before the court on December 8, 2017 against Mr Supriyo.